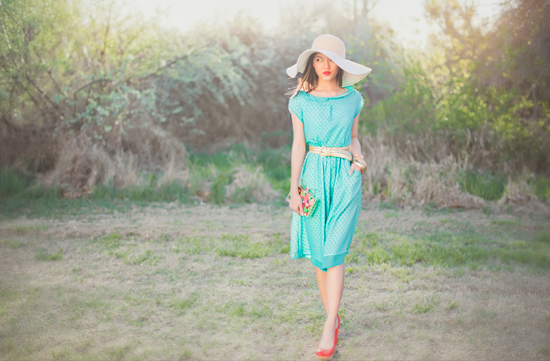 I have a love and appreciation for all things vintage, especially vintage dresses. And from what I have mentioned, you can view on my previous post HERE, I love how vintage dresses were made to fit, and flatter a woman's body. 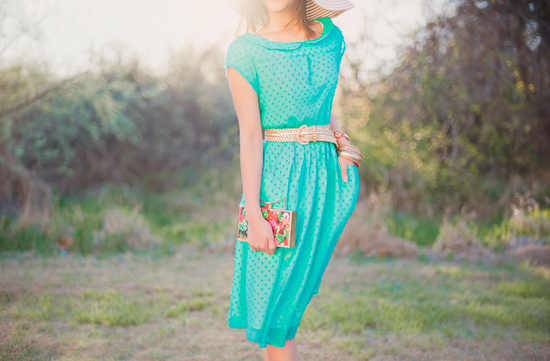 The Mint Julep dress from Shabby Apple is the perfect vintage-inspired dress. From the dotted swiss material, peter pan collar, to the fit, flare, and length of the dress, you would think it was vintage. 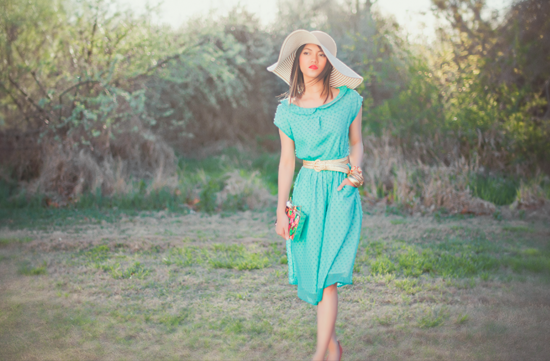 If you are like me, and love anything vintage including vintage-inspired dresses, head on over to Shabby Apple to view their collection of beautiful vintage-inpired pieces. Gorgeous pictures! I love this color!